Adams Rite, a subsidiary of ASSA ABLOY Security Solutions, has partnered with Kestrel Aluminium Systems as part of a campaign to secure properties with doorsets tested to the PAS24 security standard, which is supported by Secured by Design on behalf of the UK Police Service. Kestrel Aluminium Systems are supplying its aluminium single and double doorsets, which also boast significant thermal benefits, to a wide range of properties in the residential and commercial sectors. The doorsets are proven to successfully resist all PAS24 attacks and offer enhanced security in the form of Adams Rite’s Sentinel M commercial multi-point lock, which includes a 3 star security rated cylinder platform. 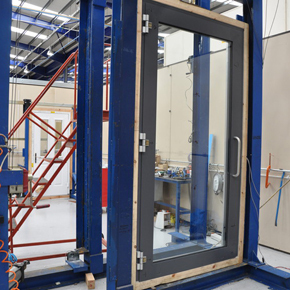 As part of the stringent tests that ensure the doorset is PAS24 certified, timed manual attacks, impact tests and mechanical load testing to 4500N are carried out.